Looking out the window at the driving rain, with my feet wrapped in woollen socks in a heated footwarmer, it is hard to believe that summer may be just around the corner. However, optimism prevails and, whilst we wait for the sun to make an appearance, now is a good time to get the fridge stocked with wines for summer drinking – more specifically, rosé. Rosé wine has, for many years, had something of a bad reputation, being seen as “merely” a quaffing wine, suitable only for picnics and high summer. But this is to do the wine a disservice. Likely created as a way of producing a lighter, refreshing style of wine from red grapes, rosés can run the range from delicate and mouth-watering, through to robust and age-worthy, and the finished style depends very much on how the wine is made. There are essentially three options for making rosé wine. Option one is called direct pressing. Here, the winemaker starts with freshly picked red grapes and presses them firmly enough that a tiny amount of colour bleeds through into the juice (almost all grapes, no matter what colour the skin, provide colourless juice). This method gives the lightest style of wines, with the barest hint of pink; think Sancerre or Provence rosé. They are often quite delicate in terms of flavour, and usually quite juicy and bright (in acidity), as a result of the grapes growing in cooler climates. Choose these wines when looking for a refreshing barbecue drink, or something light and fruity for a warm summer’s day. The second method is “short maceration”. This is essentially a shorter method of making red wine. Red grapes are crushed and the juice is left in contact with the skins for anywhere from six hours to up to four days. During this time, colour is extracted from the skins, lending these rosés anything from a vibrant pink colour to a rich, ruby hue. Some, in fact, are hard to distinguish from “true” red wines. However, these all share a vibrant fruity character, a medium to full body, and are often slightly higher in alcohol than those made by “direct press”. Think rich, warming Navarra rosados, full-bodied Tavel rosés, and spicy, deep wines from Bandol. These wines tend to have stronger flavours than the direct press wines, and occasionally a hint of tannin as well, making them excellent food wines, to accompany anything from spiced mackerel to a lamb tagine. Finally, rosé wine can be made by blending a tiny amount of red wine in with a white to give a vibrant, bubblegum pink. This is generally only permitted outside Europe, but the key exception to this rule is Champagne. Many houses, from Laurent Perrier to Billecart-Salmon use this method to produce their rosés, resulting in salmon-pink wines, with soft red-fruit aromas, and a slightly fuller texture than many non-rosé wines. Far from being the preserve of special occasions and romantic holidays, rosé Champagnes are one of the most versatile wines around, their fruit flavours balancing the occasionally austere acidity of this northerly sparkling wine. Lighter styles such as Legras’s rosé are the perfect match to smoked salmon canapés, whilst a more robust wine such as the Bollinger rosé is perfect for warming, meaty mains – even if the weather fails to delight, these wines surely will. 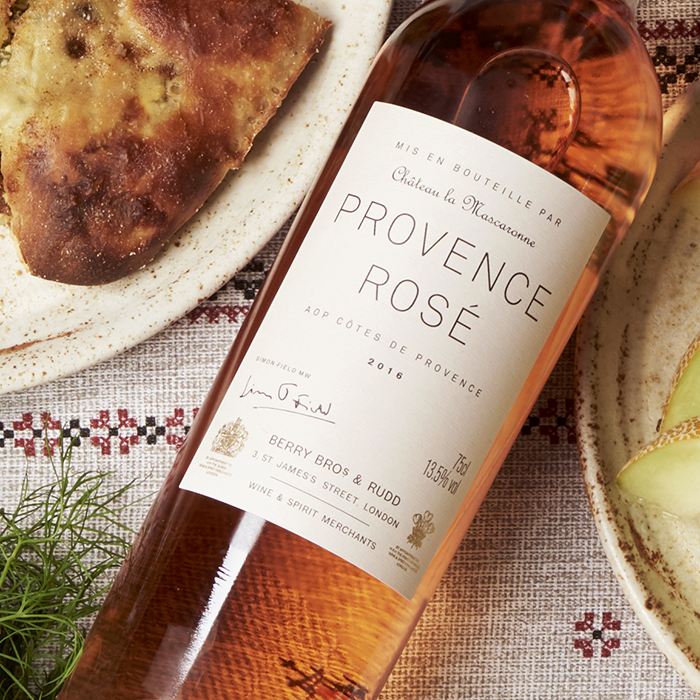 Browse our selection of summer rosé here. Great article, v interesting – one small error. Hands up, here – I may have used my creative license a little too liberally… there are indeed more northerly sparkling regions – I even believe someone is having a go in Scotland. I do apologise, and the article has been amended accordingly. Sorry, Barbara. I promise I am not normally such a pedantic wally! As I said, brilliant article. *Googles ‘Scottish Fizz*….